We all know that exercise is good for us. As well as boosting weight loss, exercise helps to reduce educe phentermine side effects such as depression, anger and constipation. Not to mention many other added benefits such as increased self-confidence, a mood boost and better resistance against illness. But, despite all these reasons to exercise, we’re all really good at finding reasons not to work out. And, while it’s difficult to start exercising, it’s also hard to keep it up after the initial motivation wears off. So, here we have five great tips to make your workout more fun! Planning might not be the first thing that springs to mind when you think of fun! However, with some forward thinking you can see better results and improve enjoyment. As we often stress, quality is more important than quantity. So, make a plan before to help you get more from even the most time-limited workout. However, clock-watching will only make time go slower; instead, aim to run a certain distance, complete a number of lengths at the pool, or a number of reps. Alternatively, a circuit of different exercises for 40 seconds each can help you keep to your time limit while also avoiding boredom. Then there is the issue of how to structure your workouts; while it helps to get challenging moves out of the way, don’t feel pressured to start with your most-dreaded exercise. However, saving the toughest exercise for very last isn’t exactly motivation to make it to the end either. Try to switch between the tough exercises and those you find more enjoyable. This way the whole workout will seem much easier to approach and therefore more fun! What’s the secret to happiness? Well, according to Mihaly Csikszentmihalyi, who studied happiness extensively throughout his career, we’re happiest when doing something challenging yet achievable. If it’s too hard, we’re frustrated and quit, and if it’s too easy we get bored and give up. So, while you should keep it in mind to start slow, break down goals and do what you can, it’s also important to keep moving forward and setting new goals to achieve. Losing weight can be frustrating, especially if you’re not getting the results you want with phentermine. But, achieving exercise and fitness goals can be a huge motivator to keep going. If you’ve been walking for two weeks, add some jogging or speed-walking intervals, or plan a weekend hike. Maybe you feel confident enough to join a gym and try a group class, or you could even sign up for a charity walk or run to make use of the energy boost that phentermine provides. That way you’ll get the added benefits of training towards a goal, helping a charity, and a huge sense of achievement when you finish the race – it’s win-win! It can be scary to join an exercise class, but there are many advantages to group workouts. Firstly, having to sign up and be at the gym at a certain time keeps you accountable. So, this will get you there…and then the friendly group atmosphere and motivating instructor will keep you coming back! A good instructor will make you feel at ease and will welcome to you to the class. They should also keep you challenged and having fun; with new workouts every few weeks and new tracks to get moving to, you shouldn’t ever get bored! And, if you think that everyone will know what they’re doing then you’re wrong; classes are for everyone, and that means all levels of fitness and ability. If the class isn’t suitable for beginners then it’ll be advertised as an advanced class and you’ll know that it’s not for you (yet!). Classes are a great opportunity to try new things without spending money on special equipment. And since most gyms offer much more variety that standard aerobics classes, there is bound to be something you want to try. And lastly, just like having a workout buddy, group classes offer a social element to working out and help to keep you motivated as you get to know each other and help each other to stay accountable. If you prefer to go it alone, take the opportunity to relish in being selfish during your workout. By this, we mean that you should think of the time you’re exercising as time to focus on yourself and not on others. So, if you’re off for a long walk or gym workout, download some interesting podcasts, TED talks, or an entertaining novel to pass the time. If you prefer to listen to music to get your energy levels up, it’s a great opportunity to listen to your favorite tunes without caring about anyone else’s taste. Create a selection of playlists to keep yourself entertained and you won’t want to stop while you’re enjoying your own personal DJ session! Like many of us these days, you’re probably on the go and answering to people all day, so, think of exercise as quality time with yourself and you’ll be looking forward to escaping the world for an hour rather than dreading your workout. The weather is improving every day, so it’s a great time to change the scenery if you’ve been exercising indoors all winter. While running through fields or along the beach would be perfect, even for those of us living in cities, there’s bound to be a park nearby. Or, if not then we can always enjoy the pastime of people watching as we pound the pavements! Exercising outside relieves more stress and, even if you’re just exercising in your local area, the time will go quicker as you’ll have something to look at that isn’t the same gym wall you normally stare at. A great way to make your workout more fun is to combine your exercising goals with a mini-challenge; think spotting things on your route, changing your route every day to include a new street, or taking a photo every workout. This last one works well as if you share photos on social media as it motivates you to get out and do things; a beautiful sunset photo you took while running is bound to get lots of likes and spur you on to find new places to explore! We hope that these tips inspire you to find the fun in exercising on phentermine. But, if you feel that phentermine isn’t giving you the boost you need to get active then we recommend adding Phen Caps. Phen Caps are a phentermine alternative which can also be taken alongside phentermine for an added boost. 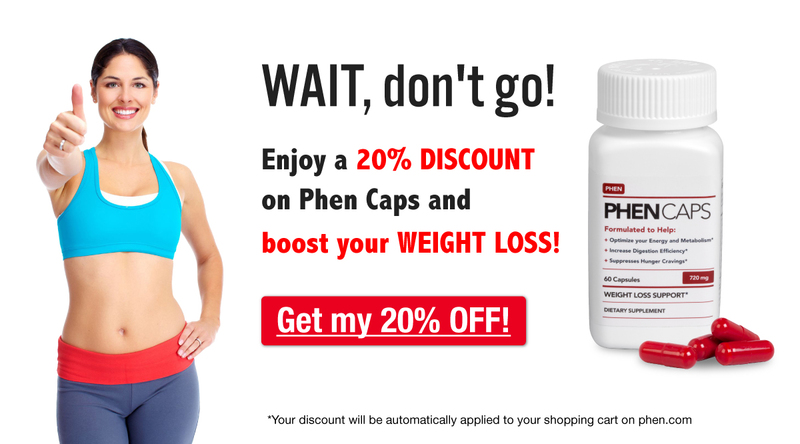 Phen Caps suppress appetite and increase energy, helping you to find the motivation to exercise and lose weight. Do you have any great tips to make working out more fun? If so, we’d love to hear them!